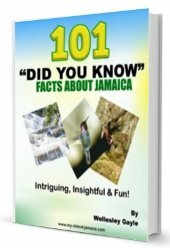 How to apply for electricity in Jamaica? In the pursuit of social and economic development, developing countries, such as Jamaica, strive to improve infrastructure and social services. The issue of electricity supply in Jamaica isn’t new. Headlines concerning poor electricity supply, or a lack thereof, are seen plastered on the front pages of the daily newspapers regularly. 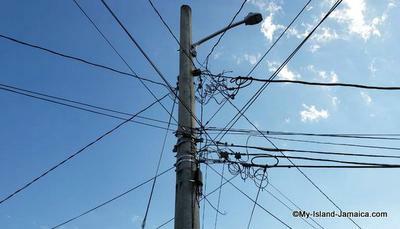 However, the main problem surrounding electricity in Jamaica is that of electricity theft. A Jamaican Observer article, dated September 10, 2018, highlighted an occasion that saw Jamaica Public Service Limited (JPS Ltd.), Jamaica’s primary electrical supplier, removing over 350 illegal throw-ups in four Spanish Town communities. But, this has not been the only revelation of illegal electrical connections. JPS Ltd. has invested millions in equipment and software geared towards improving power supply and clamping down on illegal connections. They have also increase their social engagement geared towards increasing legal connections. But what is the process for law abiding citizens to get plugged in? While the application process starts after the wiring has been placed, it should be noted that the internal wiring process and the process before acceptance of the application places a crucial role. Prior to connection, the wiring must be inspected and certified by the Government Electrical Inspectorate (GEI). The GEI is responsible with guaranteeing safe operation and utilization of electrical wiring through the enforcement of safety and technical standards. So let’s start from there. You’ll need to obtain the services of a licensed electrician. This person can carry out the entire wiring job or they can simply check and fix the existing wiring. You’ll have to sign the notice form, which will be supplied by the licensed electrician. His/her name will appear on the form. Now, your licensed electrician will pay the necessary inspection fees on your behalf through the Collector of Taxes. He/she will receive a receipt. This receipt must be signed by the licensed electrician and he will affix his/her Electrician Licence Number. This receipt will then be submitted to the GEI. The inspection date will be fixed by the GEI and Licensed electrician. The GEI inspector will assess the wiring throughout the building. Therefore, he/she must have access to all areas were electrical wiring exists. When the inspection is completed, an Electrical Inspection Report will be issued to the licensed electrician or his/her representative. If the report is satisfactory then you may proceed with the process of getting connected. The GEI will only be able to inform the JPS of the approval of your wiring seven (7) days after the date of inspection. However, in the case of an unsatisfactory report, the inspection process will repeat from number 3. Note that an unsatisfactory report is an indication of faults or defects that the licensed electricians must rectify. Additional fees to the GEI may be incurred. Once you receive a satisfactory report, it’s now time to get connected. Your request will be processed within five days after submission of the listed documents. If you wish to find out further information on JPS on the application process you can visit their regional offices and contact them.